So apparently, the chickens need a little more calcium in their diet. I guess I haven't been putting out enough yogurt on the back picnic table. Tonight, when I went out to put the chickens in for the night, I was confronted by this odd-looking egg sitting in the grass outside their coop. I gave it a little tap with the toe of my boot, thinking it was cracked and not worth picking up, and it bounced and rolled across the grass, unharmed. As my kids would say, it gave me the "heebie-jeebies" but I picked it up and brought it inside to my little chicken farmers to see what they thought of it. It has been raining all day, and their first thought was that maybe it was water-logged. After bouncing it across the kitchen table a few times and playing all kinds of games with it, they decided to take one of the good eggs out of the fridge and "water-log" it overnight. To see if we could get the same results. Meanwhile, I jumped on my computer and after a little googling, discovered that the hens need more calcium in their diets–some grit or some oyster shells. So tomorrow we'll head to the feed store. Wish you had your own rubber egg? 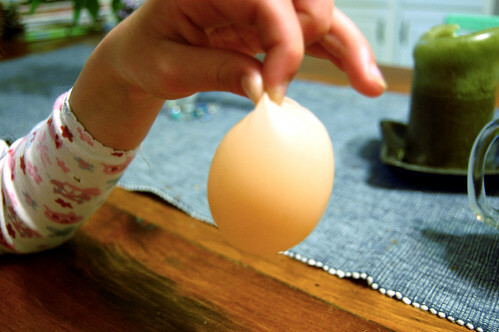 Here are some directions for making a rubbery egg, or even a folding egg! (but make sure you have that last ingredient on hand). 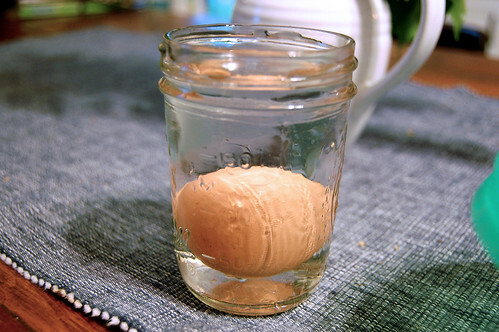 Or try getting the egg in the bottle, without breaking or these other fun egg experiments. Now I know what to do with the four dozen eggs in my refrigerator! Ewwwww. It is kind of icky but I would love to play with it for awhile. Thanks for the eggperiments. I am getting ready for summer fun and will add them to the list. We have a neighbor with chickens and his trick is throwing a freshly laid egg up in the air and letting it fall to the ground. It won’t break. The kids thought it was so cool that the little one (she was three at the time) threw one up and it landed on her head and it did break. But not on the ground! When I had chickens, we would just crush the egg shells and put it in their food! Oh, that egg *would* give me the heebie jeebies. It looks like a water balloon! but is it still edible? 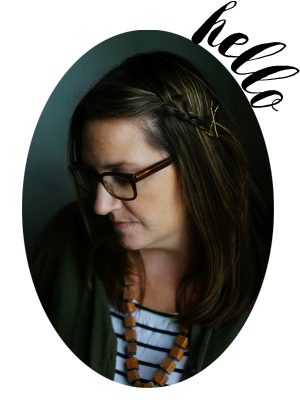 “heebie jeebies” Oh, my how long it has been since I have hear that… and it is such a great description for how I would have felt too! !Hope you report back on those egg experiments! Wow. That’s amazing and creepy all at once. A rubber egg could really freak a person out. I wish I had to find something to do with 4 dozen eggs. Maybe someday. Oh that is so funny, it almost reminds me of those toys we had when growing up, a water weasel that you would pick up and it was supposed to slip out of your hands… that would keep us entertained for hours! With all due respect: ICK. thanks didine! and sorry about losing all those chickens! that must have been so sad. grace, we had one of those too. my sister and i would get a new one each year, at little shop where we went on vacation. they were so funny. That is crazy. I’ve never seen an egg like that naturally. Molly-You can also smash up their egg shells after you are done with the eggs and feed them to the hens. Make sure you smash them up enough that they no longer look like eggs (so they don’t get in the habit of eating their own eggs). Well, I never heard of such a thing! The world is full of wonders, isn’t it? How truly bizarre! What a great discovery! ick! I didn’t even know such a thing could happen. At least you turned it into a good lesson! melissa and sachi: i really don’t think there’s anyway to eat it. (I wouldn’t want to!) and when I hold it up to the light there’s no visible yolk or anything. it’s pretty much just plain gross. thanks, katie! i’ve thrown out egg shells to them before, but i guess i (obviously) need to be more diligent about it! That is amazingly interesting! I’m fascinated! Also, thanks for sharing your experiments. We will have to try some soon. Hi, Molly. In our farm experience, we’ve learned that occasionally a hen or a duck will prematurely lay an egg like that due to a stress or fright – like being transported to a new place, or a run-in with a predator. My guess is you have marauding raccoons or something similar, especially considering the disturbed guinea nest. We’ve had far more problems with raccoons and possums than foxes or coyotes, and our property has all of them. Perhaps you’d want to invest in a live trap and bait it with an egg near your hen house to see if you’d catch a troublemaker? Oh that is really wild. I’ve never seen anything like that before, but again, we don’t have chickens. What a fun learning experience for your girls. Intersting – I’ve never seen an egg like that before. I’ll be curious to see what your little scientists discover! Crazy! I had no idea that that was possible. Maybe your chickens have been into the vinegar too much. My kids would love to find one of those! Rubbery egg is on our to try list. They will have a ball with that. We do the same as Caroline. Feed them the egg shells. We just throw them in with veggie scrap pan and feed it to them. Cheaper too. Awesome. I learned something new today! I’ve had some pretty weak shells from my chickens, but never a rubber egg! I don’t feed mine any extra shell or bones, but the guy at the local feedstore told me you get the same effect if you have a lot of bugs for them to eat in your garden. Mine seem very healthy if they get plenty of slugs and beetles. So funny to see someone else get one of those crazy eggs. One of our girls laid one, but it was out of the ordinary. The others immediately set upon it. There was much chasing around the yard to get the bits back.We had an egg eater at the time. She went to the chicken reform ranch — a good home with loads of chickens so the odd egg eater wasn’t an issue.Because of the egg eater, we won’t give the girls their own shells. Too skittish, are we. We do, however, give them yogurt. Brown Cow vanilla, cream on top. They share with me. I remember getting some strange eggs like that when I use to have chickens….you could try some oyster shells in their diet….